With so much of potatoes that my brother got us, it was natural that I find different ways to use up those spuds. They were sprouting already and I was in a haste to use it up. After making those chips, seeing how much the kids loved it, I wanted to store them for a long time. Imagine my bad luck that somehow one important step in making the chips stay for longer shelf life, was overlooked. This was my first kitchen failure and I was badly affected. I have been upset over this for the last two days. Never imagined that I would be affected so much. One reason would be that my brother got it all the way and second would be that the kids loved the potatoes chips so much, third would be facing a failure and accepting is always such a hard lesson to learn! Anyway certain things just happen, no reasons to explain why. I thought I should just move on. Athamma had stored some potatoes for making a gravy and I ended up making something else. So I had that share on hand and decided to bake some in microwave. As you know I always microwave the potatoes, instead of using pressure cooker. It’s such a time saving, fuel saving method. So I thought baking them in microwave would be a great option. To make it even better, I baked it in butter and some spices. It was very delicious to say the least. While this didn’t mitigate the pain I feel every time I remember my whole lot of potato chips that might go down the drain, this dish surely ends up being very satisfying. Sending these to Lavanya who is hosting the MEC this month themed on Party Appetizers. 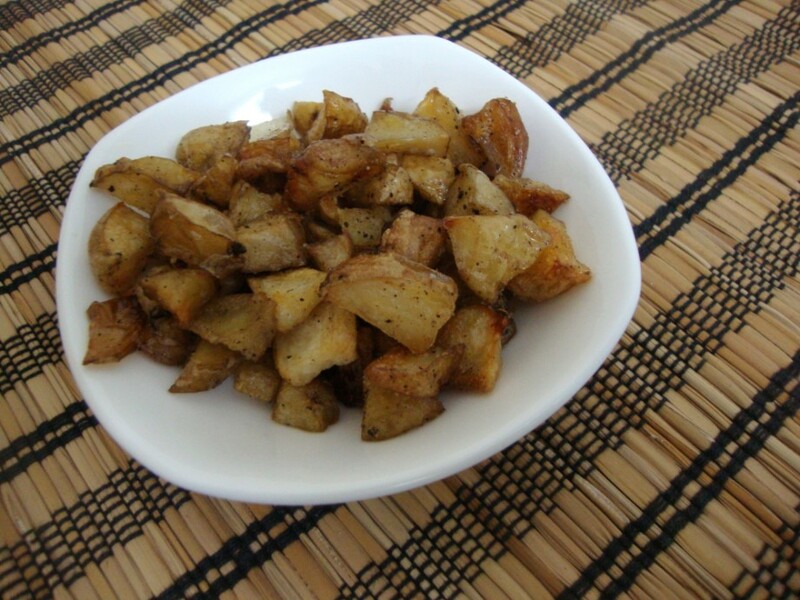 Herb Mix – I used Thyme, you can mix in rosemary, Oregano. anything that you have on hand. Wash and cube potatoes into 1 inch pieces. 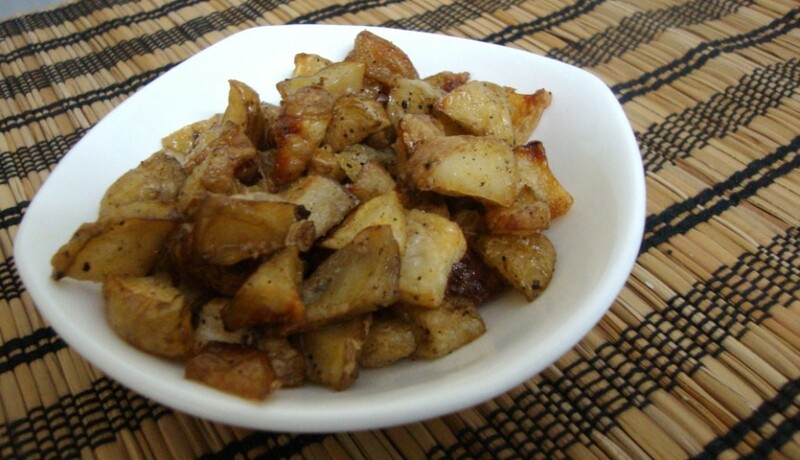 In a microwave safe bowl, add butter and the cubed potatoes. Toss well. Microwave for 10 mins. After 5 mins, open and toss again. Sprinkle the salt and pepper and other spices you are going to add. Microwave again for remaining time. Tastes great as an appetizer and very quick to make if you plan for a party. Enjoy as a side dish too! Absolutely love them, my son will adore them, I will make it for him soon. Wow those roasted potatoes looks incredible and appealing..